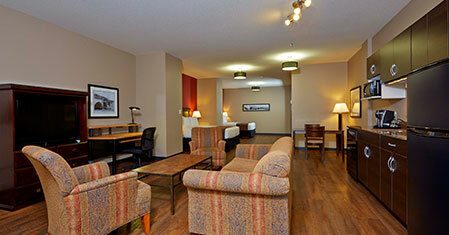 Relax in comfort and style in one of our generously outfitted rooms or suites. Whether you choose a cozy standard room or long term suite, you can count on enjoying 37” LCD TV’s, free Wi-Fi, room service, Choice Standard amenities and more. 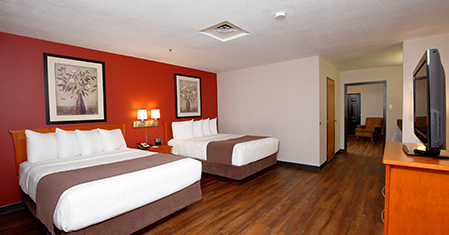 Every room is outfitted with a mini fridge, Keurig coffee station and microwave and you’ll stay comfortable in our air-conditioned, 100% smoke-free environment. Book your room online today for the best rates, guaranteed. 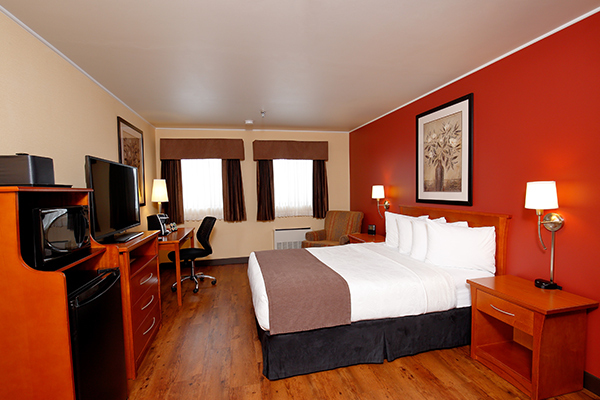 Our Standard Queen and Standard King rooms offer cozy, comfortable lodging ideal for solo travellers and couples. These small yet elegant rooms offer either queen or king beds and feature a 37" LCD TV with cable and in-room movies along with all our standard amenities like free Wi-Fi, coffee maker and more. Our Standard Double Queen Room offers the same floor plan as our single rooms but features an additional queen bed. 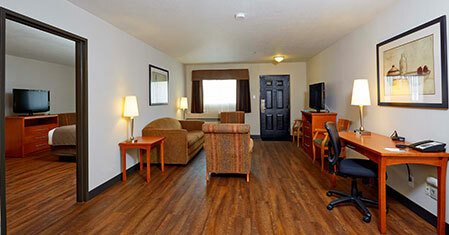 Enjoy a comfortable place to relax among all our amenities. For guests requiring a bit more living space, our Deluxe Double Queen Room features two queen beds and a larger floor plan than our standard rooms. 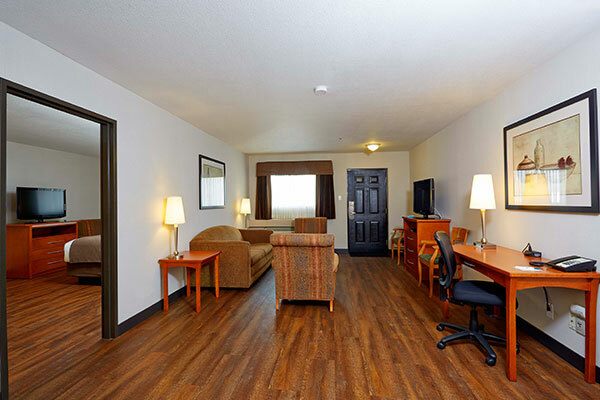 Enjoy the convenience of an outside access door and all our top-notch amenities including free Wi-Fi and flatscreen TV. Available with either king or queen beds, our Junior Suites are ideal for couples or families. Enjoy more living space with a separate sleeping area and outside access door. 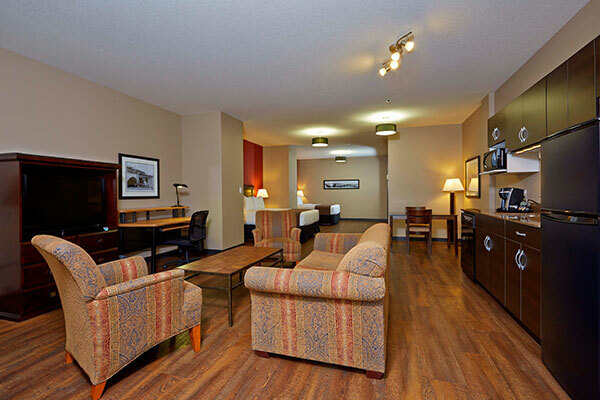 All our amenities, like free WiFi, mini fridge and 37" TVs, are included. 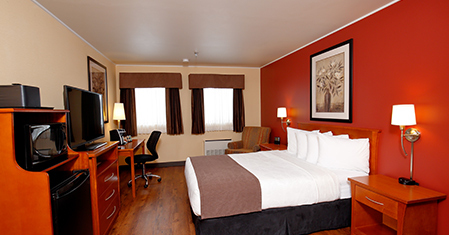 Our Executive Suites offer spacious, multi-room accommodations with your choice of a king or queen bed. 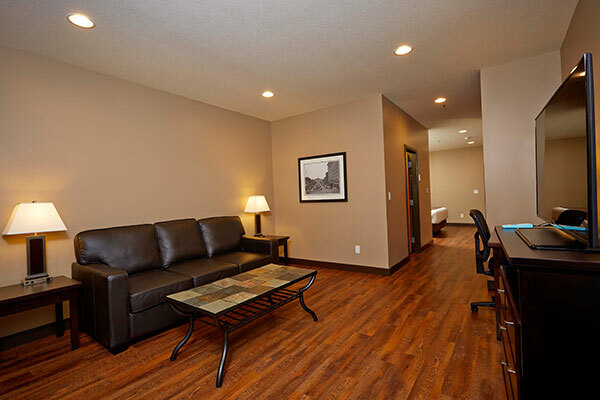 A separate bedroom adjoins to a spacious living area outfitted with all our amenities including outside access door, storage room and kitchenette with dishwasher, fridge, and microwave. 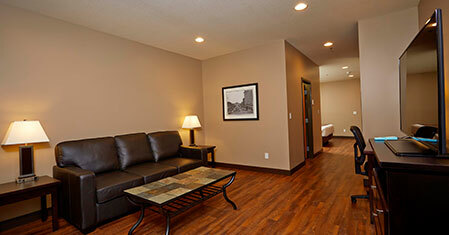 Enjoy spacious, apartment-style accommodations in one of our Long Term Suites. These gorgeous suites feature a kitchenette with dishwasher, microwave and fridge, as well as a separate bedroom and living area. 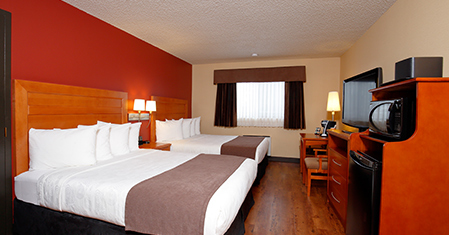 Enjoy all our amenities including free Wi-Fi, room service and 37" LCD TVs. We're sensitive to the special requirements or our disabled guests and are proud to offer rooms with enhanced accessibility. 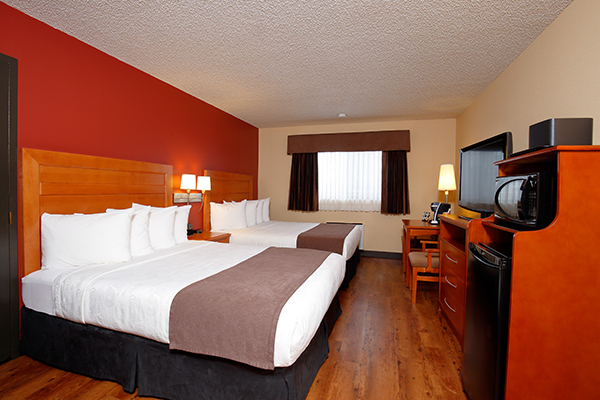 Please contact our Quality Inn & Suites Hotel in Saskatoon to learn more. 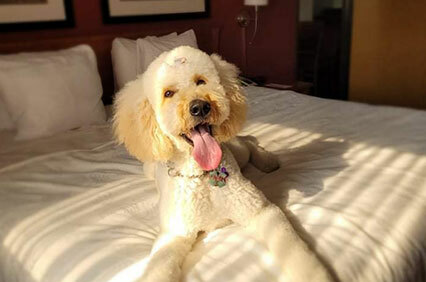 If your family pet travels with you, don't sweat it, ask about our pet-friendly room options. 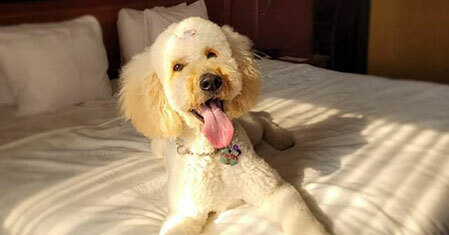 We allow up to two dogs per room with an eighty pound weight limit. Additional pet types (cats, birds, etc) may be accepted. Pet rate is $15 per day with a $100 per week maximum. 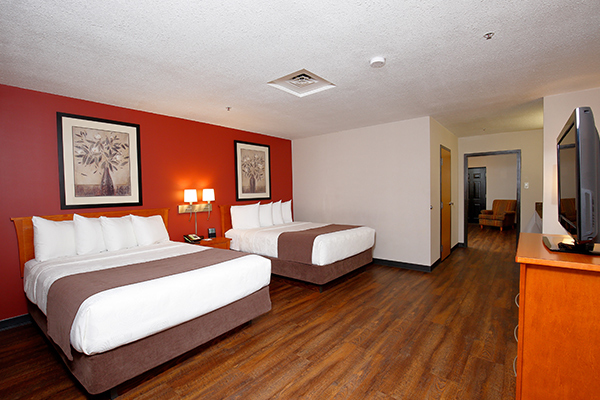 A refundable cleaning and damage deposit of $50 is required upon check-in. Please contact us for more information.